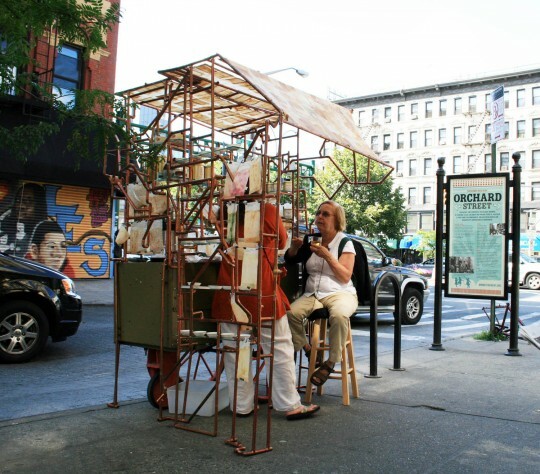 A temporary interactive performance, during which passersby and visitors to the Museum were invited to sit down inside a copper covered pushcart to share a cup of tea with me. 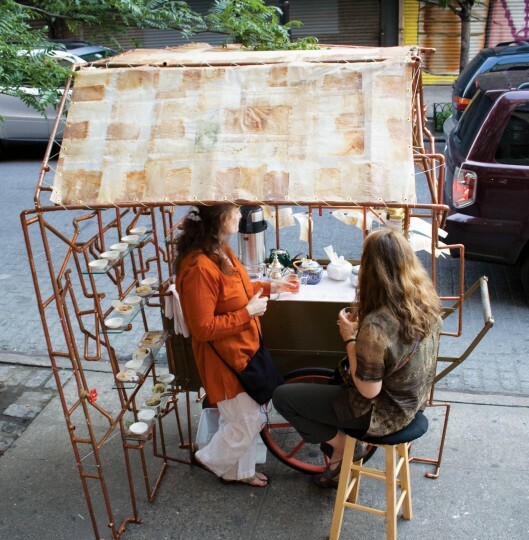 The tea was brewed from loose tea leaves spooned into special paper bag filters. 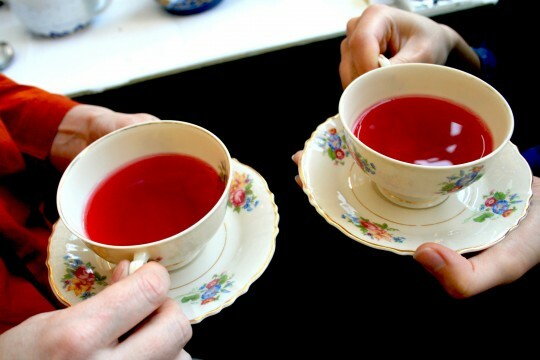 Our conversations, which focused on family stories about Tea were recorded in preparation for being transcribed onto the tea bags after they dried out. 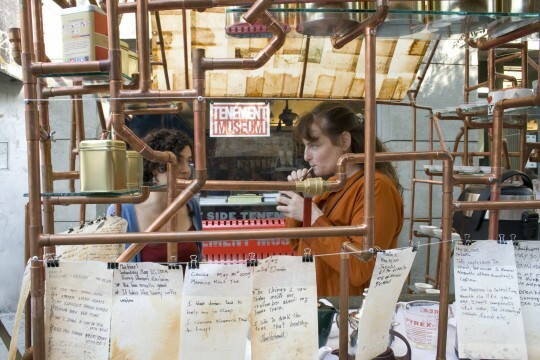 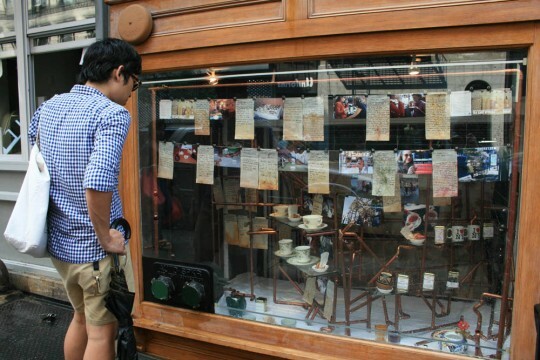 The tea bags later became a part of an installation set in the windows of the Tenement Museum.